The three finalists were chosen by you fine people through Instagram likes. Thank you for having great taste and recognizing handsome, creative, multi-faceted men. I'm lucky to have friends like you. How to choose? 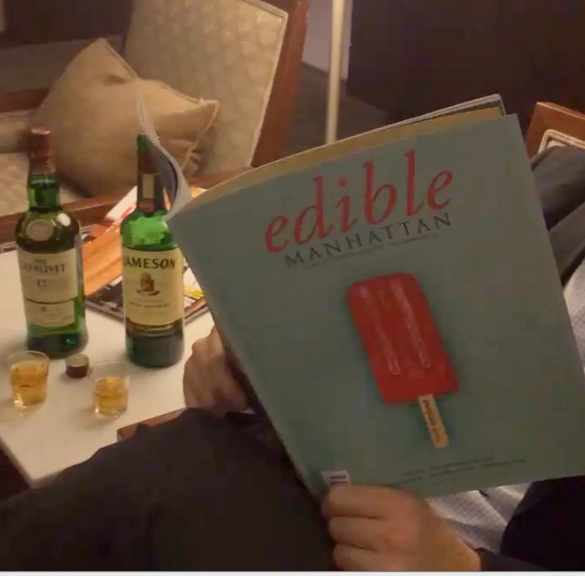 David can offer me confidence, sophisticated magazines, and whiskey. Ben can offer me a campfire, s'mores, and precisely chopped wood. Ron can offer me creativity, humor, and his adorable, furry dog. Stay tuned. I will choose my 100th first date this Friday October 17th.